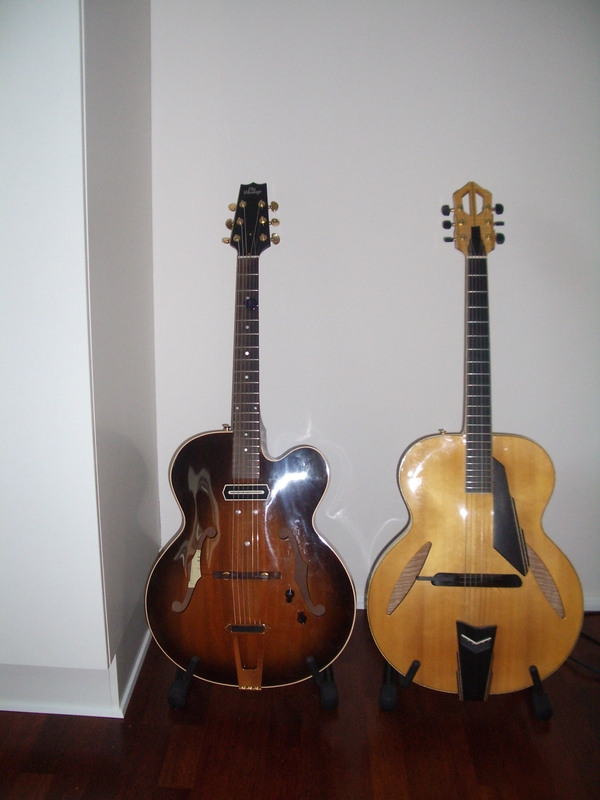 The most popular posts on this humble blog are those that concern the Charlie Christian pickup. Apparently, there is a strong interest out there. 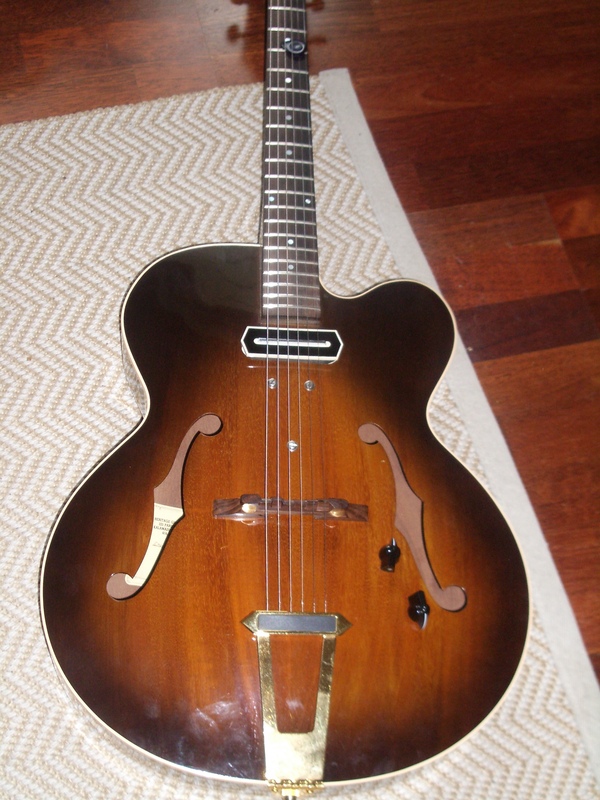 Perhaps it is not so strange: Combine the CC pickup with a small, slightly over-driven tube amp and you’ve got a sound that cries Barney Kessel, early Tal, and, of course, Charlie Christian! Yes, the hum is unavoidable and probably worse than with any other pickup — but it is worth it! 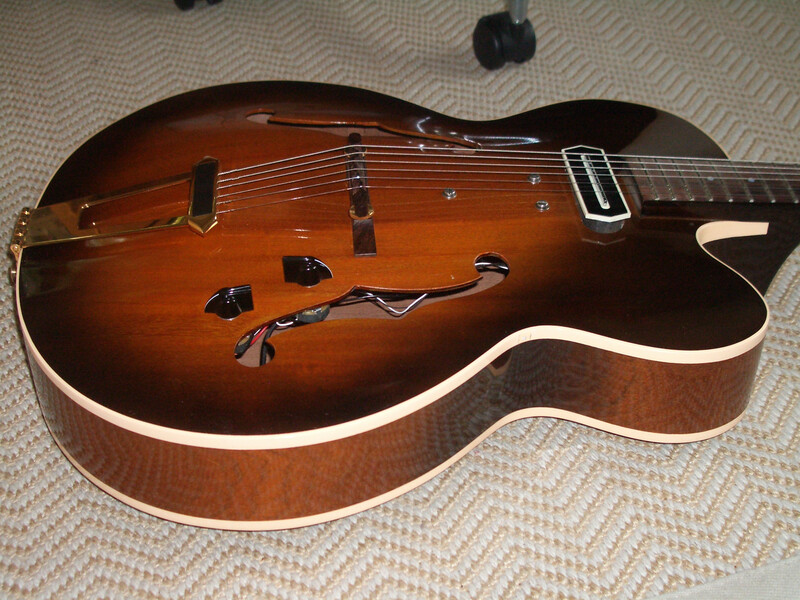 Not surprisingly, CC pickups have been applied to all sorts of archtops; I’ve even seen a Super 400 with a double (!) CC pickup. J. Geils and Gerry Beaudoin, of New Guitar Summit fame, have placed a CC pickup on a D’Angelico to arrive at their own signature model. The first of them, the prototype if you like, is offered here at the very reasonable buy it now price of 1, 999 USD. Check out the text to the auction which gives a lot of interesting detail. Apparently, J&A readers are obsessed with Charlie Christian pickups: The absolutely most popular posts on this humble blog are those that deal with these pickups (here). The wordpress stat functions allow you see search words, how many looked at specific posts in a given, day, week, month, etc., and there are on average 10 daily searches for “Charlie Christian Pickups” that lead surfers to this site, and between 25-50 daily hits on the CC pickup posts alone. I find this a bit strange. Are we witnessing a pickup nostalgia wawe? When will see CC pickups on the players’ guitars? Will Pat Martino have a CC pickup installed?